Complete information on film credits for music, violinist and composer is available on IMDB. 2014 - MONKEY KINGDOM - DISNEY NATURE DOCUMENTARY FEATURE - Release date - Earth Day, 2015. Composer - Harry Gregson Williams - SHREK, NARNIA fame. GAAYAKI-ANG Violin - a rare and unique style, popular in the music world of Hollywood and a daring crossover artist of this genre, Jagan Ramamoorthy. 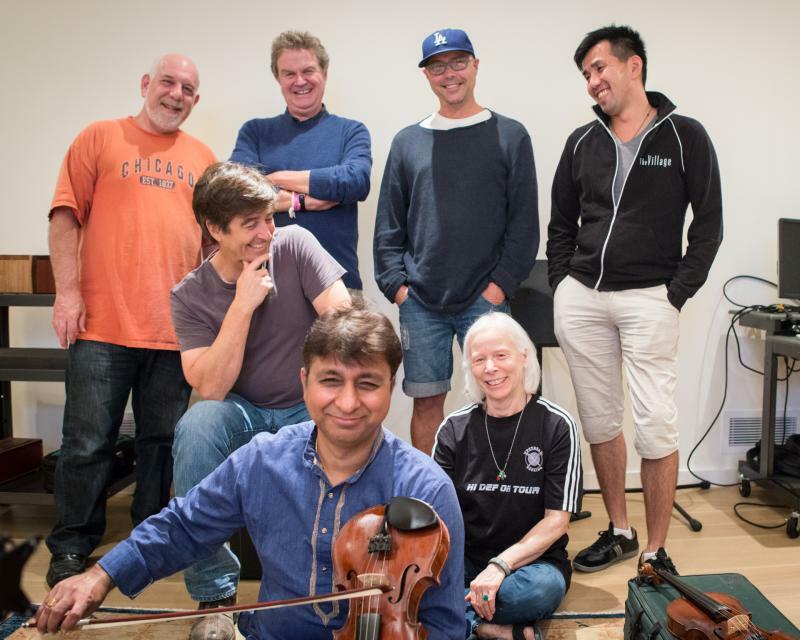 BILL BERNSTEIN, (Director) JOHN MADDEN, JOHN BEASELEY, (Recording Engineer) SHIN, (Composer) THOMAS NEWMAN, LESLIE MORRIS AND JAGAN RAMAMOORTHY - Indian Violinist - BEST EXOTIC MARIGOLD Composer NEWMAN and his crew, in 2014. (All pictures are courtesy LARRY MAH - Recording Engineer and STEVE TAVIGLEONE, excellent musician.